Paterson, NJ (November 9, 2018) . . . New Era Converting Machinery Inc. will showcase its patent pending LLS Unwind System at the ICE show in Louisville, KY, April 9-11. New Era’s booth #501, located directly in front of the show hall entrance, is once again the largest booth space at ICE USA. 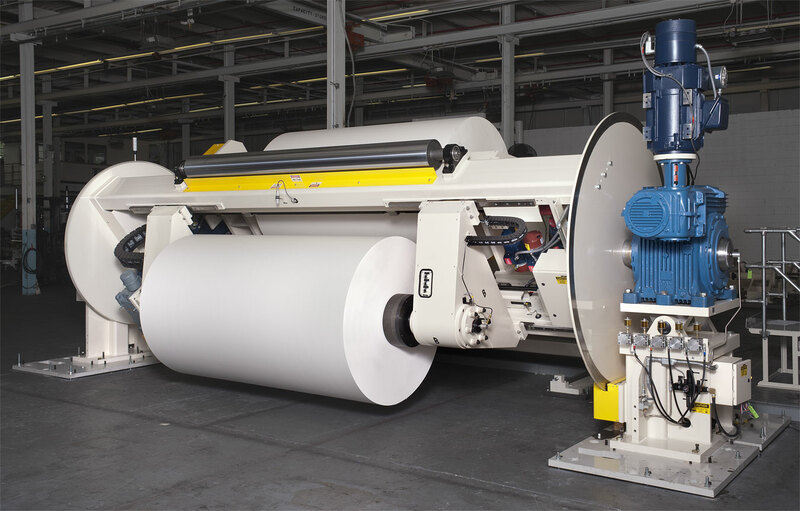 The LLS (Lap-Less Splice) Unwind is designed to provide a fully automatic, Lap-Less Splice between the end of an expiring roll and the leading edge of a new roll. The system is suitable for use on a wide range of materials and can operate at speeds in excess of 1,000 fpm without the need for slowing or accumulating the web. The system provides a splice with tape on both sides of the web and can be used on any material which can be cut with a rupture style knife. Visitors will be able to see the unwind completely assembled, while having the opportunity to speak with the technical staff on hand about how it all works. New Era can offer the LLS Unwind solution as part of a new web line, or for integration into an existing web line. As part of the technology, New Era has developed a test center at it’s headquarters in Paterson, NJ which can run at up to 80” wide and 1,000 FPM to demonstrate the LLS Unwind’s viability for each specific client’s materials and process speeds. “We wanted to make this line available to our customers to provide a level of comfort for those integrating the LLS into an existing operation or utilizing the LLS for the first time,” said Bob Pasquale, President at New Era. In addition to the LLS Unwind, New Era will be bringing a modular (cartridge style) coating head complete with two gravure coating modules, a J-Arm style tapeless transfer turret winder and a purpose-designed laminating station. These equipment sections are all part of larger equipment lines currently being custom fabricated by New Era.